It's been well over a year since txtr first unveiled the beagle (and about 3 months since I incorrectly proclaimed its death) and txtr has found a telecom willing to take it on. I have just learned that txtr has signed a deal with the Hungarian subsidiary of Deutsche Telekom. txtr has a long history of providing ebookstores for Deutsche Telekom's various divisions, and now txtr is going to provide hardware as well. The beagle will be bundled with certain new smartphones (Samsung Galaxy Young, Sony Xperia M, or LG L7 II) as part of a 2 year contract. The subsidized price will be 30 euros (3 times the price that txtr had originally planned to charge). And for those who don't want a 2 year contract the beagle will be available separately with a retail price of 60 euros. That price is going to make it more expensive than a number of ereaders on the German market, so I am not sure that there will be much interest. But I could be wrong. 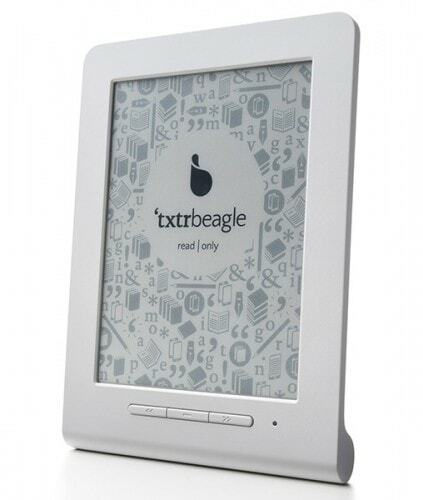 The beagle was briefly available from txtr earlier this year, and it was selling for 59 euros (the same price as the Amazon Kindle). Sales were reportedly good enough that they were the deciding factor in the decision to carry the beagle in Hungary. 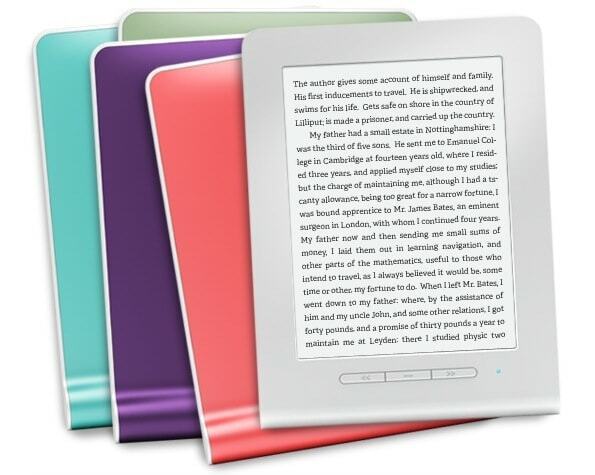 The beagle, which is really more of a smartphone accessory than an ereader, is equipped with a 5" E-ink screen, Bluetooth, and is powered by a couple AAA batteries. It's capable of holding 5 titles at a time, and is designed to work in partnership with the txtr app for Android and iPhone. The beagle cannot work without the txtr app, and that is because it cannot actually display ebooks. Instead txtr's reading app has to convert an ebook from an Epub or PDF file to a collection of page images. The Inkcase E-ink smartphone case I reviewed last month uses basically the same trick, albeit with a different set of hardware. The trick does work, to a limited degree, but it also comes at the expense of any of the more useful features found in most ebook readers like annotation, book marks, and a TOC. Deutsche Telekom will be supporting the beagle in Hungary with an ebookstore that has a catalog of over 900,000 titles, including 3,000 titles in Magyar (the Hungarian language).